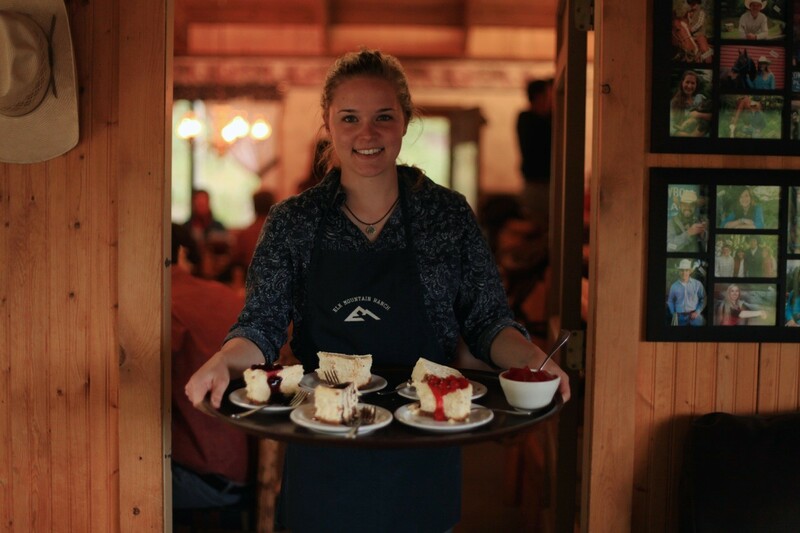 From trail cookouts to candlelight supper, we have it all. The superb, varied, & full-course meals of our dude ranch dining will delight both hearty and discerning appetites, and are sure to be a highlight. Trail ride cookouts, steak fry, country candlelight supper, and fabulous desserts. Children’s items are offered (we have kids too!) Relax on the lodge deck before dinner and enjoy our daily appetizers. Coffee, teas, cocoa, fresh fruit, chips and cookie jar always available. Special diets and special occasions are happily accommodated. "Food was always delicious and abundant. The staff was always going above and beyond expected. They accommodated our complicated dietary limitations and baked chocolate cupcakes with rainbow sprinkles on my daughter's birthday." ~ Diane W.